The F ratio of a SHS should be about F:45. Assume a 2.7 meter f.l. 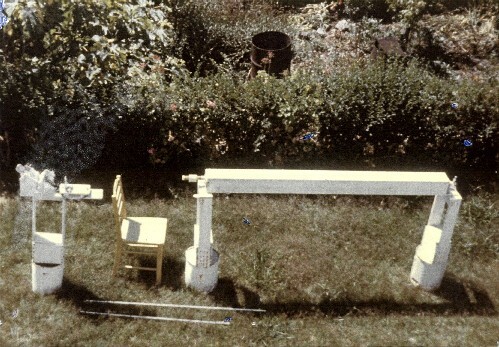 telescope, a 1.9 meter f.l. 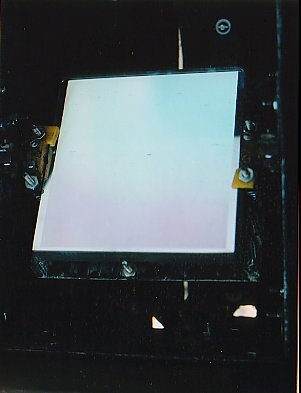 spectroscope, a grating 32x30mm ruled area with 1200 gr/mm, 5000A blazed, slits adjusted to about 0.6A passband for H alpha. The solar disk will be comfortably bright to study, all details will be easily seen, even very faint detail. Eyepiece power will be about 25X. Can use 0.2A passbamd. A SHS does not show the full diameter of the solar disk to visual examination. 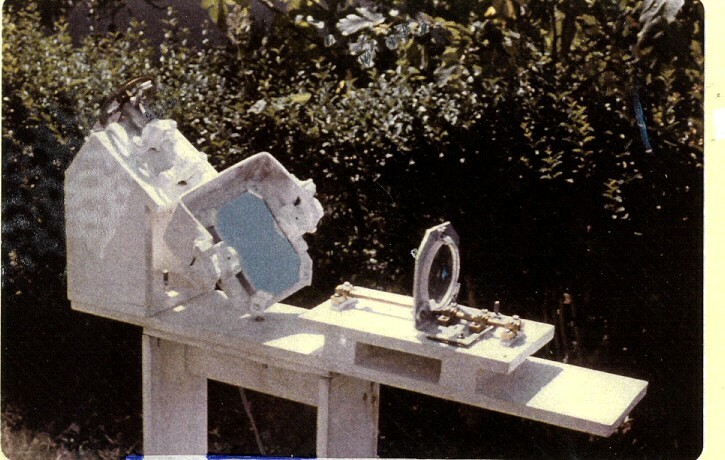 Mechanical and optical factors of the solar image synthesizer restrict the instrument to about 20 arc/min by about 30 arc/min field of view, maybe less. The human eye has maximum sensitivity at green-yellow, call it 100%. In the orange-red for H alpha, about 10% sensitivity. In the violet, about one percent. Only a redesigned SHS and a young person can see the solar disk in violet K light. The cornea of the eyes yellow with age. The main useful wavelength is H alpha light. For the solar continuum of the sun itself, call it 100%. The yellow sodium lines and the Mg lines are about 8%. The H alpha line is about 16%.The violet H and K lines are about 6%. Strong telluric lines are zero per cent. The grating efficiency of a 5000A (green) blazed wavelength has about 80% of the light at that wavelength. For the same grating, efficiency at violet will be about 20%. For same grating, efficiency at H alpha will be about 40%. In my book on the SHS, I have the basic details of the Petit prism set up. I myself have not mounted the prisms per Petit. I pass along their experience which I got from Sky and Telescope editors and two professional astronomers of about 25 years ago. 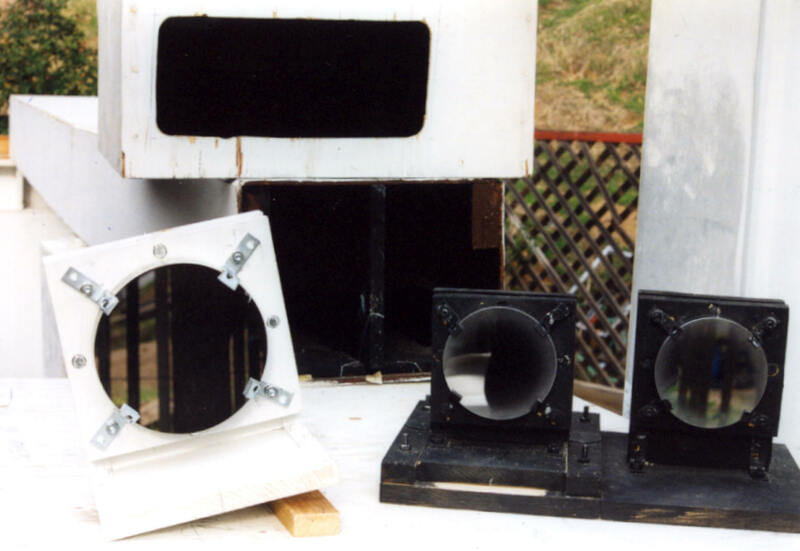 The NOAA shs run by Dr. P.McIntosh and Dr. H.Leinbach had Petit mounted prisms. Quality of the prisms: the glass must be grade A flint. The surface flatness can be about one wave, since the solar image is about 99% focused at the entrance slit. 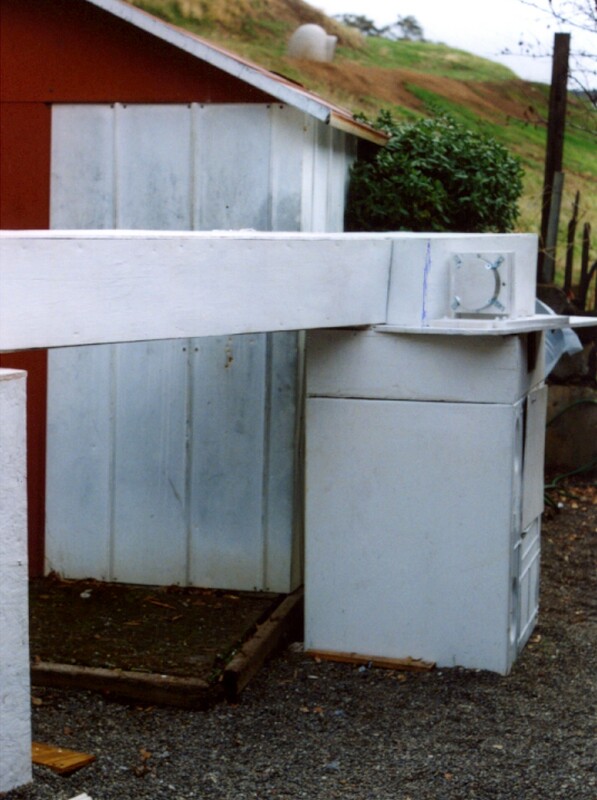 The 90 deg angles do not have to be high accuracy, about plus or minus 40 sec-arc is acceptable. Realize that any slight wobble of the solar image on the slits will not cause a problem as long as the slight wobble is less than width of the slits themselves. So if the prisms give a wobble of the solar image of about 10 microns, and the slits are about 100 microns wide, you do not have a problem. 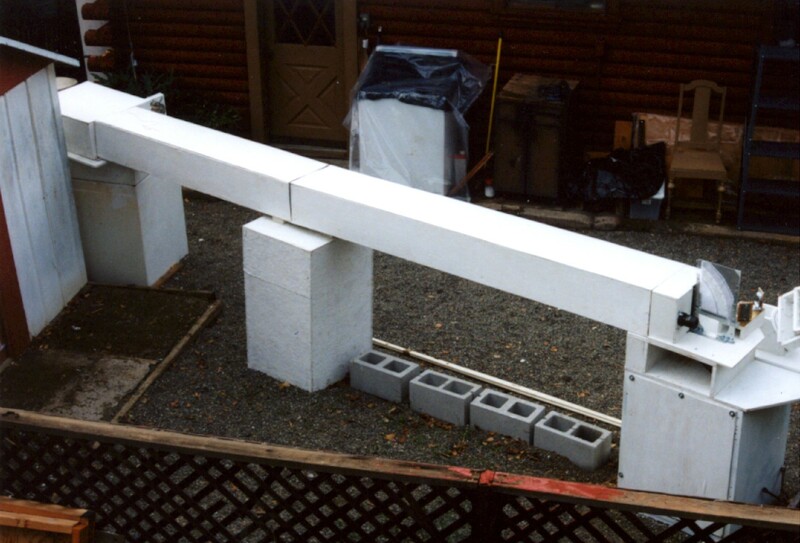 Average quality prisms of 90 deg angles with 40 arc -sec errors are not expensive. High quality prisms with high angle accuracy are very expensive. Comment on Hale's Anderson Prisms: Hale never used large Anderson prisms. He had prisms (attributed to Dr. J. A. Anderson in his article 'A Simple Solar Telescope and Spectrohelioscope' in Appendix F.2 Amateur Telescope Making 3, Willman-Bell) about 30mm long, squareness was about 15x15mm. About 5mm was for mounting in its cell. He never stated why but maybe he was warning us about something. The field of view through his prism will be about 25mm long by 2/3 x 15mm, or field height will be about 10mm. So overall view will be about 25x10mm. He never stated the accuracy of the angles, nor flatness of surfaces. A visual spectrohelioscope at NOAA,Boulder, Colorado, directed by Dr. Patrick McIntosh. 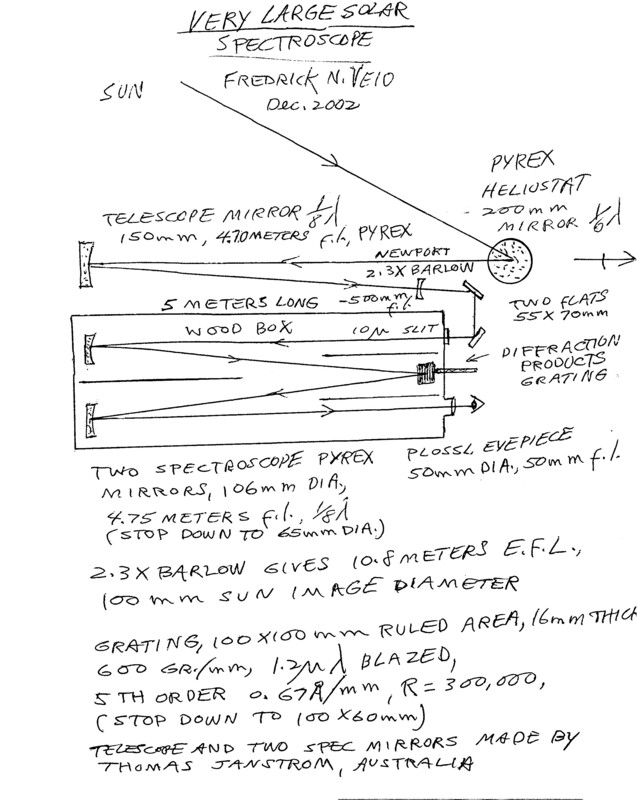 Had a heliostat, telescope concave mirror of 200mm diameter with 5.4 meter f.l. 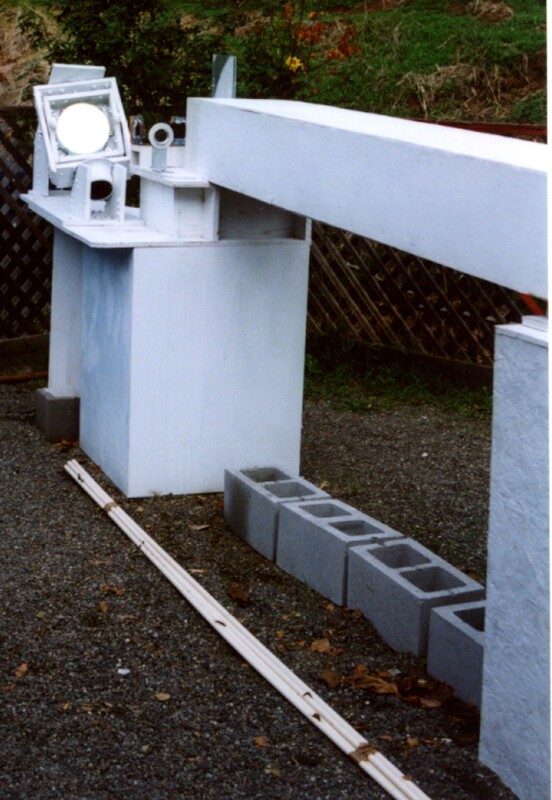 The one Ebert spectroscope mirror of 200mm diameter and 1.5 meter f.l. Grating was 50mm round with 1800 gr/mm, blazed for one micron wavelength. Linear dispersion in first order was 2.7A/mm in green, second order 0.6A/mm. Passband was 0.05A for magnetic fields in the blue wing of the line with 0.05A offset. 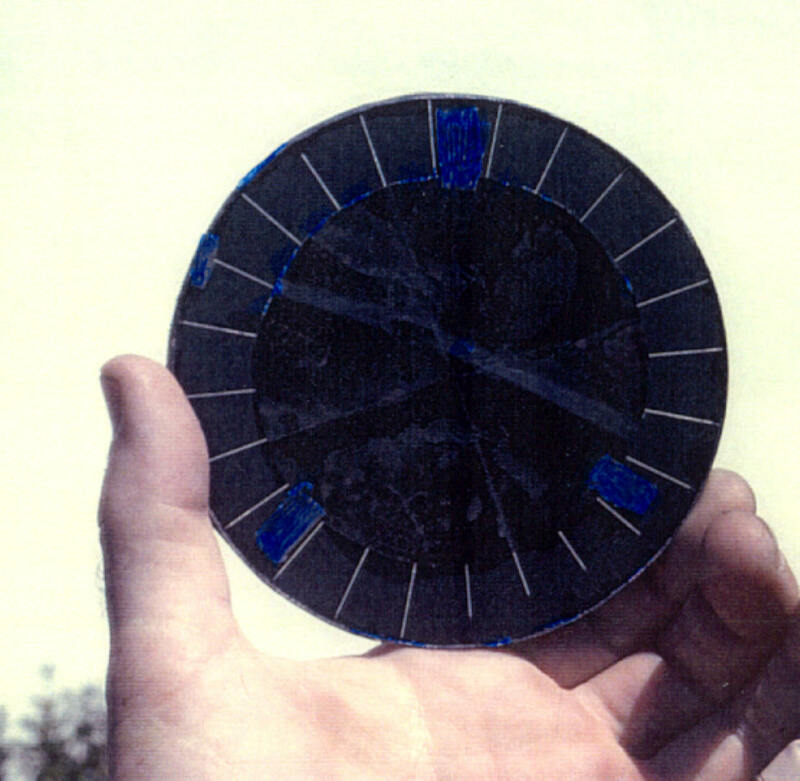 The Polaroid was fixed, the 1/4 wave retardation plate was rotated manually 90 deg to change from north to south polarity of a magnetic area on the solar disk. 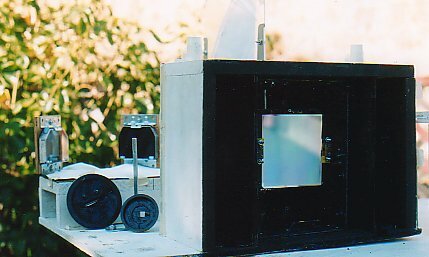 The spectroscope mode and SHS mode were used in visual and photographic methods. 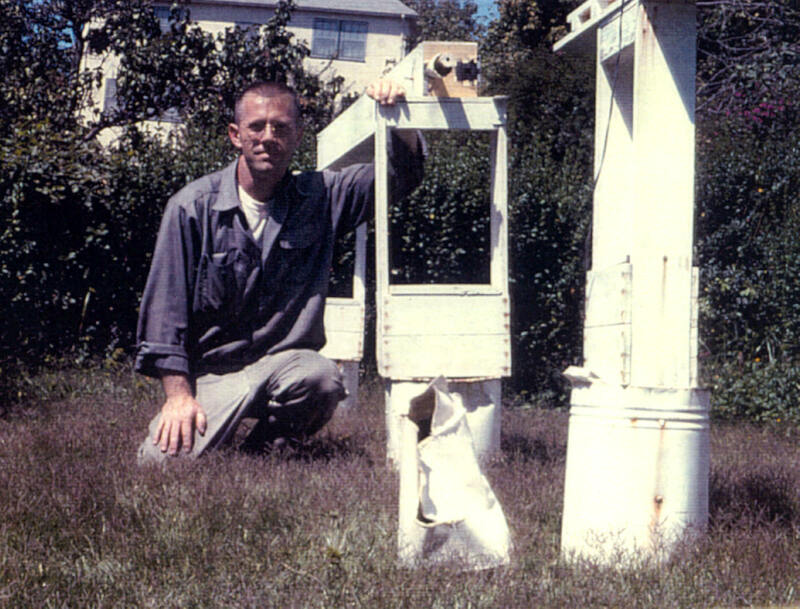 His book "Solar Activity Observations,.....", 1971. He sent in magnetic results to Mt. Wilson, and there is an 85% match up with Mt. Wilson work. 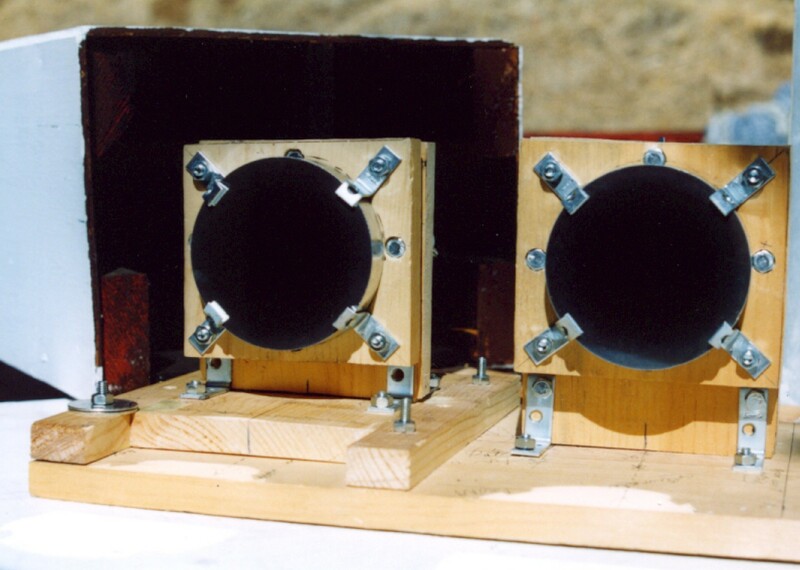 A solar observtory in Australia uses three filters in tandem to give 0.05A passband for magnetic fields. Dr.Robert Howard book, "Solar Magnetic Fields", 1971, has excellent 0.05A passband photographs of the the magnetic fields. 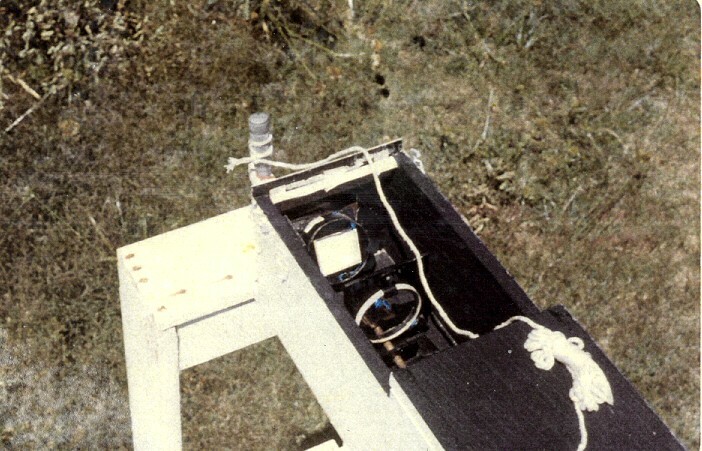 In 1964 the Veio spectrohelioscope in the spectroscope mode measured the dark visual width of spectral lines. High dispersion was necessary with 1.9 meter f.l. spec lens, 1200 gr/mm, 32x30mm ruled area. First order was 4.1A/mm in green, second order 1.8a/mm in green. Spectrum about one meter long in the first order, about 2.5 meters in the second order. The disperson of the grating is not linear at long f.l. spec optics, high grooves/mm and high orders. For example, with a 1200 gr/mm grating, in the green going from first order to second order, disperson is 2.5 times higher, and in the orange-red (H alpha) going from the first to the seond order, dispersion is 3.0 times higher. There are about 4000 solar spectral lines that can be seen with the naked eye from about 3900A violet to the 6600A orange-red, assuming 32x30mm area with 1200 gr/mm. Book by Dr. C. E. Moore, "The Solar Spectrum,------", National Bureau of Standards (USA), No. 61, 1966 m.
A sunspot with 2500 gauss will have a Zeeman splitting of a strongly sensitive photospheric line of 0.1A to the violet and 0.1A to the red, total width 0.2A. Many Zeeman spectral lines have a dark visual core of 0.03A width. The penumbra has about 800 gauss, giving about 0.03A to the violet and 0.03A to the red, total 0.06A width in the penumbra. 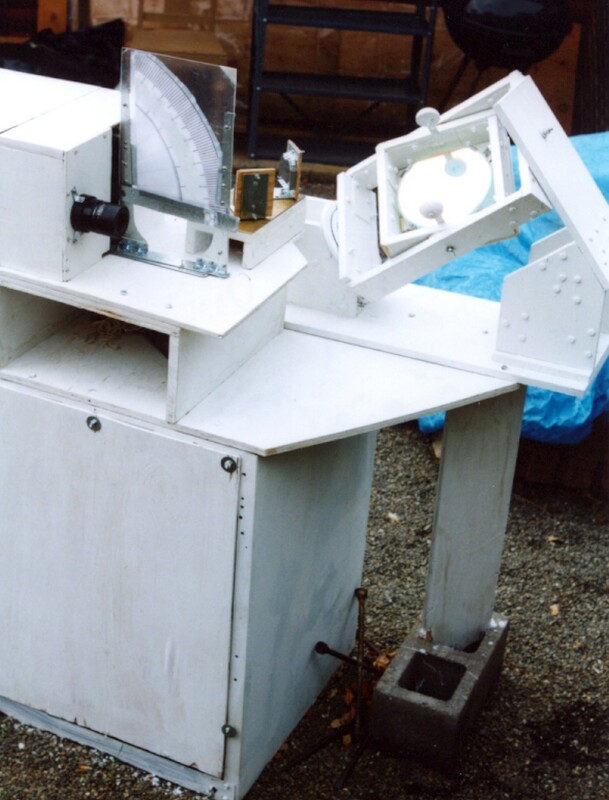 Big Bear Solar Observatory has a spectroscope f.l. of 3.7 meters, grating 1200 gr/mm, linear dispersion 1.0A in the second order. They have a magnetometer. Mt. Wilson 150-foot Solar Tower has 75 ft f.l. spec with linear dispersion about 0.1A/mm, or10mm/A. A telescope of 5.4 meters f.l. 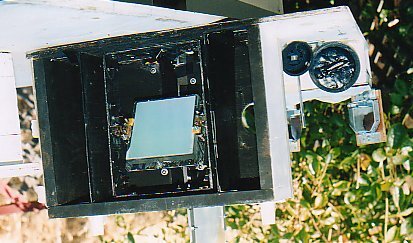 gives a 50mm diameter solar image on the entrance slit. The umbra is usually too dark (2500 gauss) to see the line become thicker and split. But the same line in the penumbra will be seen to thicken easily. Sometimes the umbra is not too dark(maybe 1200 gauss), so the line will seen thicker. And the same line in the penumbra will not be thicker. Addendum: the wavelength used by Dr. McIntosh is the green Mg I b 1 line of 5167A wavelength, dark visual core of 0.05A. It is an easy line to find, easy to use, wide enough to work with. Most lines used by the pros are about 0.03A wide, not as easy for an amateur to work with. 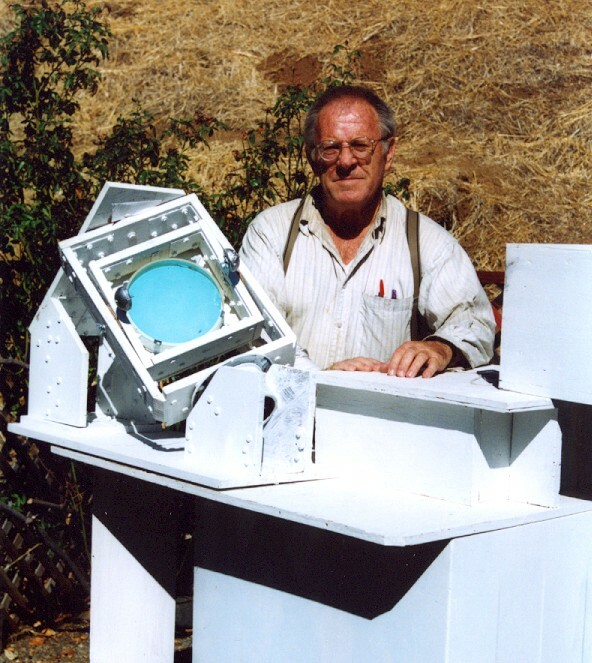 Dr. P. McIntosh of NOAA had a large spectrohelioscope for about 20 years, not using it now, made visual and photo observatons of the solar disk and magnetic work. He used the green b 1 line of Mg I 5167A wavelength. The dark visual core is 0.05A, so he made his passband 0.05A wide, simple. There is a nearby Fe I line about 0.1A. There is a technical way to avoid the nearby Fe Iline. Will discuss later. Professional observatories use certain Fe I and Ca I lines with visual dark cores of 0.03A. So they have a passband of 0.03A. There are no nearby other spectral lines. That is, no line close nearby, maybe about one angstrom but that poses no problem. So their technical methods are somewhat different than by Dr. McIntosh above. 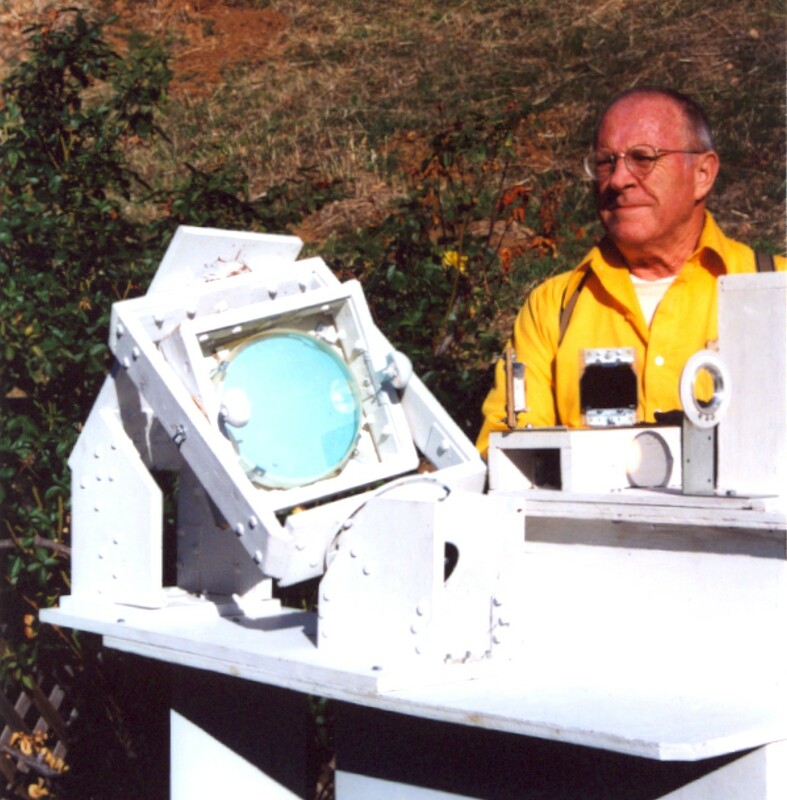 Amateurs think that they need large optical systems for magnetic fields. Not so. For about 200 gauss fields, not need a large instrument, just medium large thereabouts, not so expensive. For about 2 gauss fields, then one needs something like Mt Wilson, cost lots and lots of money. grating. He used pencil sharpener blades for the slit. 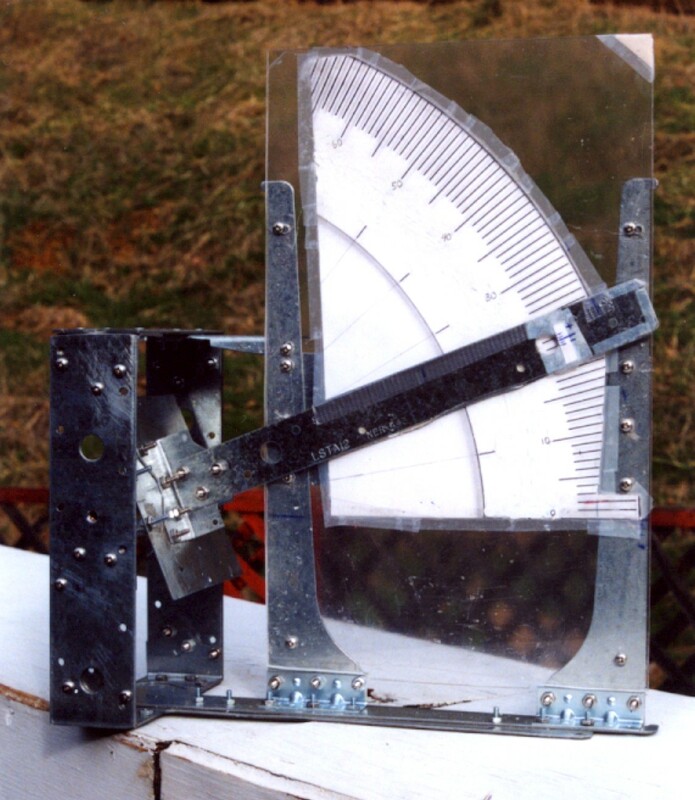 You should make a solar spectroscope. You must mount it separately and parallel to the Coronado or Daystar H alpha filter. There is much interestng solar disk and solar limb details to easily see. A spectroscope is much easier to put together than a spectrohelioscope, and the adjustments are less critical. With a cross hair you can pin point events exactly so, not difficult to do, not need a monstrosity. Apogee and a few other companies sell achromats of somewhat long f.l. Prices are reasonable too. Average cost about $130. Do not complain. A few other places sell for about triple that price. Test the achromat for spherical aberration. If you got 1/6 was, stop down a bit, will improve to about 1/8 wave on the wavefront at infinity focus. Use one for the spectroscpe section, and another for the telescope section with a 2x barlow. about -500mm fl, to double the efl. For the telescope about 80/1300 or related achromat is excellent, use with a 2x barlow get about 2600mm efl, giving a one inch (25mm)diameter solar image on the entrance slit. 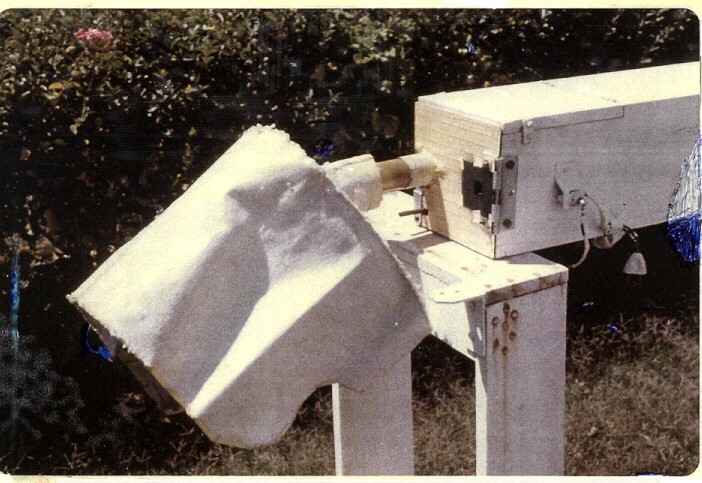 The spectroscope can be a similar achromat of about80/1300mm. The grating can be about 25x50mm with 1800 gr/mm 50% theoretical resolution, resolving power about 0.2A,not too expensive, say about 150 dollars. If you got a 50x50mm grating, can stop down on the sides to about 25x50mm to improve resolution. Tilt the grating to the yellow near the sodium lines, with the slit over a bright hot plage you see the heliumm line in absorption easily, two very faint atmospheric lines nearby will cause no problmes. sometimes the helium line is in emission, do not need a flare, just a local very hot local area. Sometime the helium line is seen in absorpton and in emission. Tilt the grating to the H alpha line, with the entrance slit over an emerging magnetic flux region, you will see the H alpha line being distorted, displaced very easily, does not change fast, only very slowly. With the grating tilted into the second order in the green, and entrance slit over a penumbra, you see the photospheric lines becom thicker due to Zeeman effect. For a surging prom the H alpha at the solar limb in emission has zig zag here and there that are easy to see. Entrance slit on a surging filament on the solar disk will show parts in absorption shifted easily away from the main H alpha core line. Miscellaneous solar events are seen too. Point is that you are missing much easy to see events with the human eye, which has cones about two microns diameter. Film is about five microns for lines. CCD pixels are about ten microns. The human eye is your best friend. Just keep the focal lengths long, say bout 1300mm thereabouts. You do not have to make a SHS, just a spectroscope, simple.